Had we designed cities with nature in mind, we’d see fewer issues around flooding, pollution and excessive heat. This article is republished from an article written by Dr. David Suzuki with contributions from Ian Hanington. With credits to the David Suzuki Foundation. 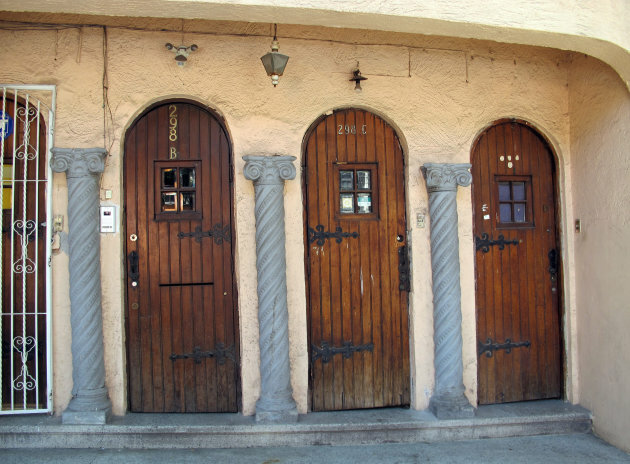 The now-sprawling metropolis, with 100 times the number of inhabitants as Tenochtitlán at its peak, is fascinating, with lively culture, complex history and diverse architecture. It’s also a mess. Water shortages, water contamination and wastewater issues add to the complications of crime, poverty and pollution. Drained and drying aquifers are causing the city to sink — almost 10 metres over the past century! “Conquering” nature has long been the western way. Our hubris, and often our religious ideologies, have led us to believe we are above nature and have a right to subdue and control it. We let our technical abilities get ahead of our wisdom. We’re learning now that working with nature — understanding that we are part of it — is more cost-effective and efficient in the long run. Had we designed cities with nature in mind, we’d see fewer issues around flooding, pollution and excessive heat, and we wouldn’t have to resort to expensive fixes. 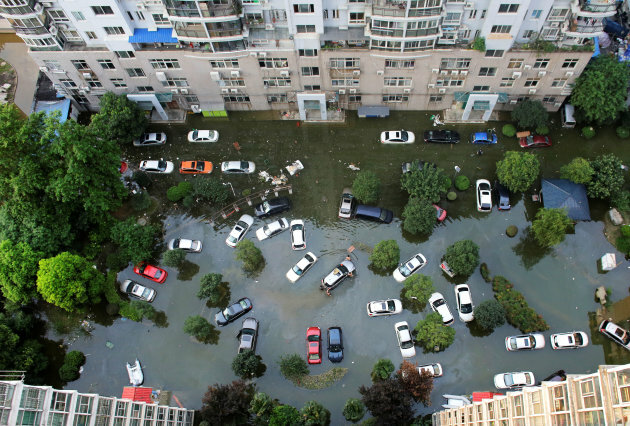 Flooding in particular can hit people hard in urban areas. According to the Global Resilience Partnership, “Floods cause more damage worldwide than any other type of natural disaster and cause some of the largest economic, social and humanitarian losses” — accounting for 47 per cent of weather-related disasters and affecting 2.3 billion people over the past 20 years, 95 per cent of them in Asia. Although hurricanes and rain are natural, there’s little doubt that human-caused climate change has made matters worse. A lax regulatory regime that allows developers to drain wetlands and build on flood plains has compounded Houston’s problems. The city has no zoning laws, and many wetlands and prairies — which normally absorb large amounts of water and prevent or lessen flood damage — have been drained, developed or paved over. U.S. President Donald Trump also rescinded federal flood protection standards put in place by the Obama administration and plans to repeal a law that protects wetlands. Compare Houston to Amsterdam and Rotterdam, which sit below sea level. Regulation and planning have helped the Dutch cities lower flood risk and save money. Written with contributions from David Suzuki Foundation Senior Editor Ian Hanington. David Suzuki’s latest book is Just Cool It! : The Climate Crisis and What We Can Do (Greystone Books), co-written with Ian Hanington. 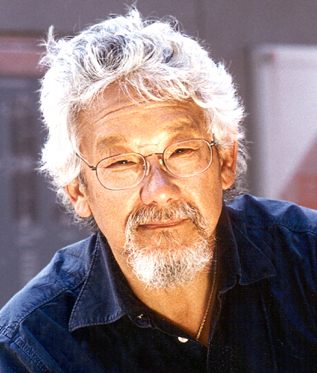 Dr. David Suzuki is a scientist, broadcaster, author, and co-founder of the David Suzuki Foundation. He is Companion to the Order of Canada and a recipient of UNESCO’s Kalinga Prize for science, the United Nations Environment Program medal, the 2009 Right Livelihood Award, and Global 500. Dr. Suzuki is Professor Emeritus at the University of British Columbia in Vancouver and holds 26 honorary degrees from universities around the world. He is familiar to television audiences as host of the long-running CBC television program The Nature of Things, and to radio audiences as the original host of CBC Radio’s Quirks and Quarks, as well as the acclaimed series It’s a Matter of Survival and From Naked Ape to Superspecies. His written work includes more than 52 books, 19 of them for children. Dr. Suzuki lives with his wife, Dr. Tara Cullis, and family in Vancouver, B.C.